Sometimes people come to us for a specific reason - in this case to get in shape for a wedding. But sometimes they find much, much more... and then leave anyway!!! We can't thank you both and the entire Bomb training staff for everything. Collectively we lost over 20lbs and looked absolutely fantastic at our wedding (If I do say so myself). As we said our goodbyes we have told our trainers that Bomb has been life changing. This couldn't be more true. We were on a path of junk food and sitting on the couch. I could see the waist line growing bit by bit every year. We had little motivation and even less energy. Then Bomb opened up just down the street (at Broadview). What we thought would be a quick fix / weight loss before the wedding became the new normal for us. We absolutely fell in love with the gym, being much more active and having more energy throughout the day. Bomb is truly a one of a kind gym. We made new friends along the way and each and every trainer we met became a friend and someone who we would look forward to seeing each week. Again, thank you so much for everything. 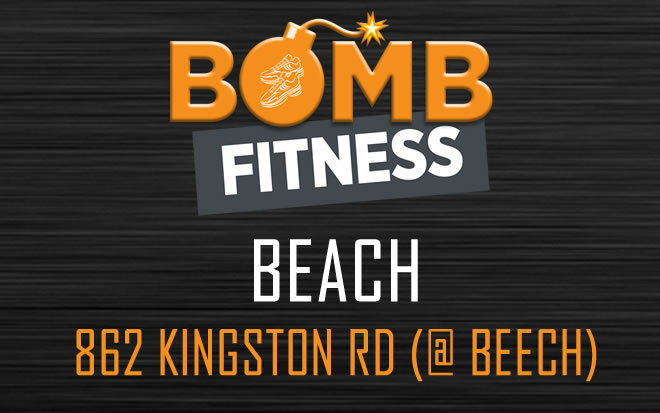 We will keep up the fitness routine in Ottawa and that is something that wouldn't have happened without Bomb. P.S. If you're looking to get fit for a specific goal - you may need a specific program. Check out our semi-private training page to find out how we can specialize your health and fitness needs - along with a very special offer. We never spam and will keep your information safe. Itâ€™s also really easy to unsubscribe. Thanks for subscribing. Youâ€™re on the list!